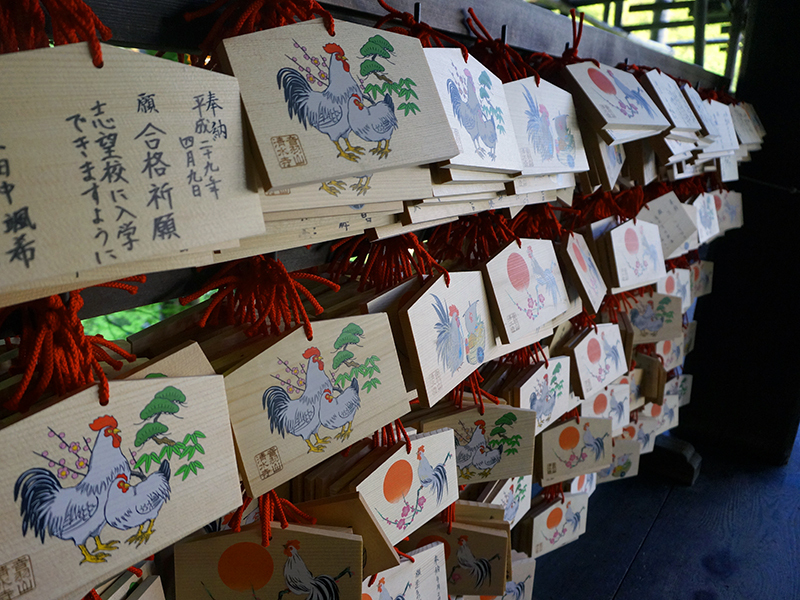 During the Golden Week, a string of several public holidays that usually falls in the beginning of May, many Japanese people hit the road for the long vacation. Although I knew the major tourist sites would be packed with tourists, the weather was so lovely that I decided to drop my initial plans and mingle with cheerful crowds. 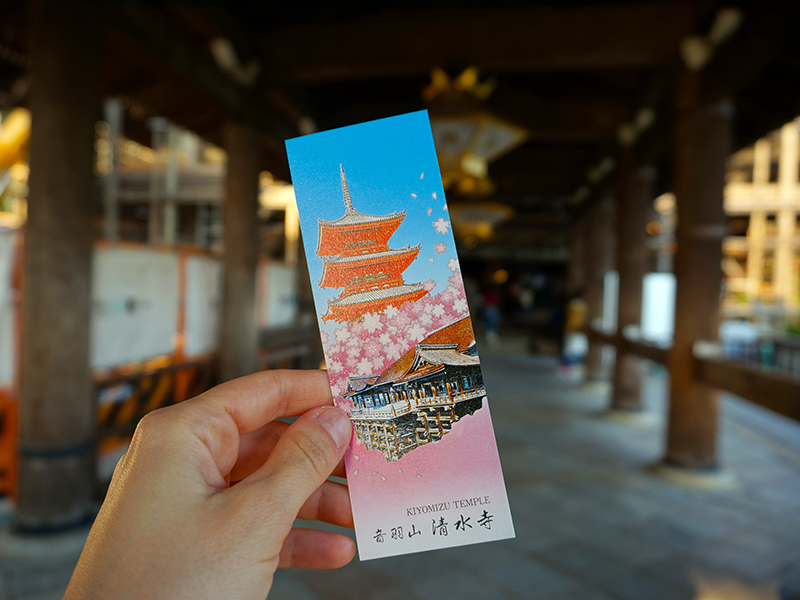 Pulling out my travel map out of the drawer, I was surprised to discover that I have not been to Kiyomizu Temple, one of the most famous places in Kyoto! 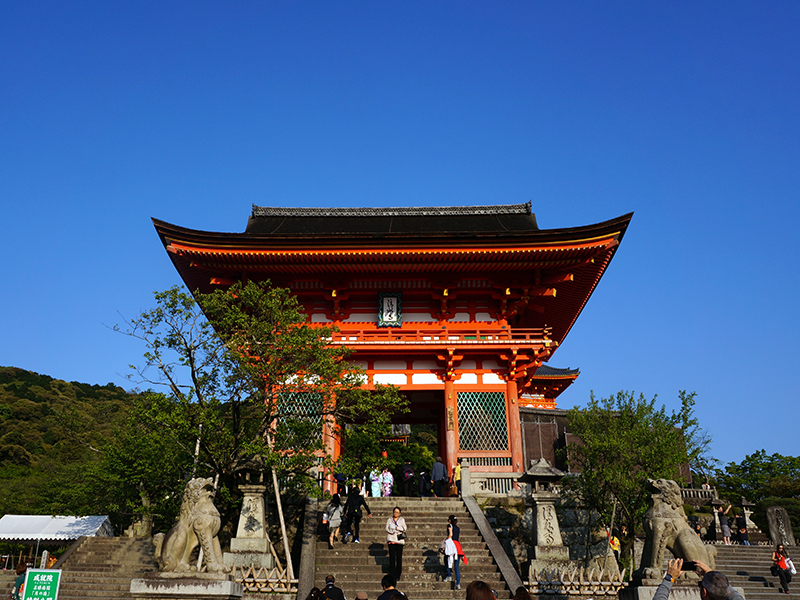 Kiyomizudera, or Kiyomizu Temple, is very popular among the foreign and Japanese tourists, but still beautiful nevertheless. Listed as a World Heritage site, it provides visitors with a breathtaking scenery and traditional atmosphere. 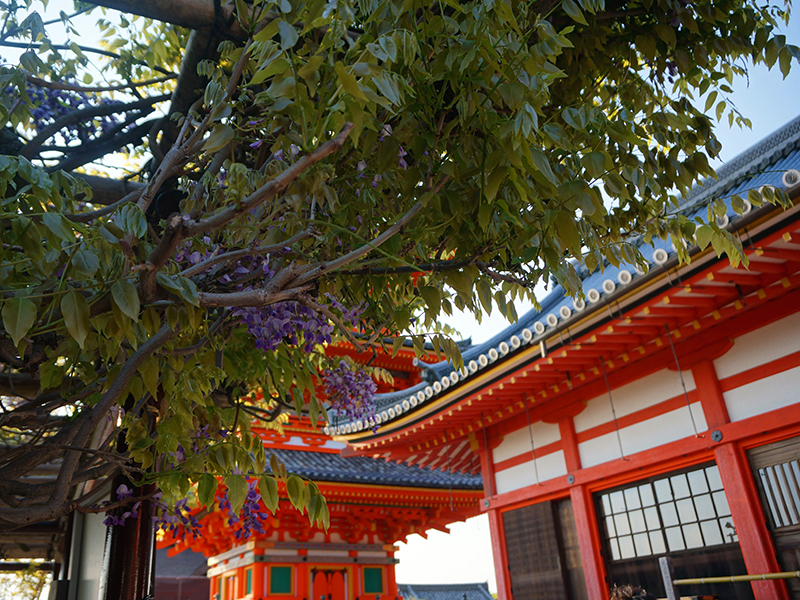 The road leading to Kiyomizudera is just as charming as the temple itself. Lined up with numerous gift shops selling local specialties, traditional sweets and pickles, it affords a 10-minutes steep walk to the complex main gate. Guess who made few stops to refresh himself with a cold sugar drink! 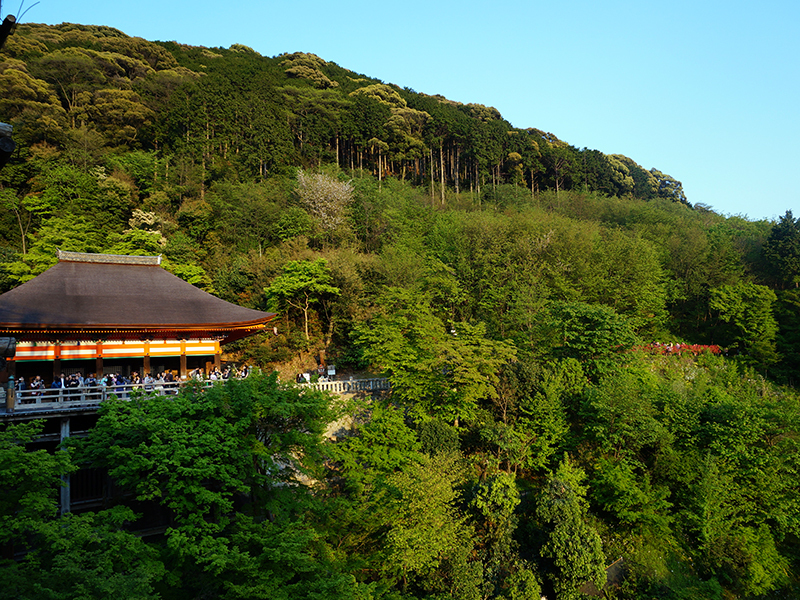 Perched on the mountain, the temple affords charming views of the lush greenery and Kyoto basin. However, if you are expecting to capture the famous picture as shown in the Internet, you will be slightly disappointed. 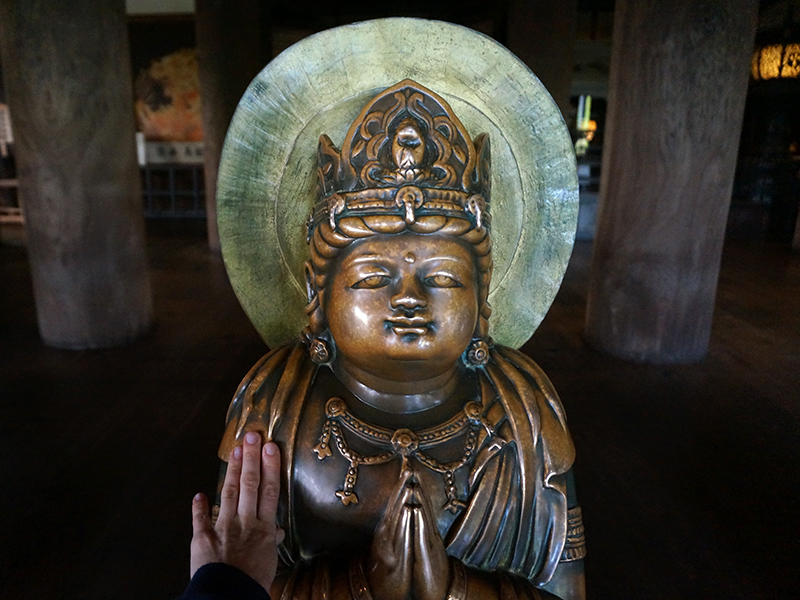 Since February 2017, the main complex temple is undergoing the renovation works and will be closed for the next three years. The famous wooden deck that juts out from the hall is covered with scaffolding, but visitors are still allowed to go inside. 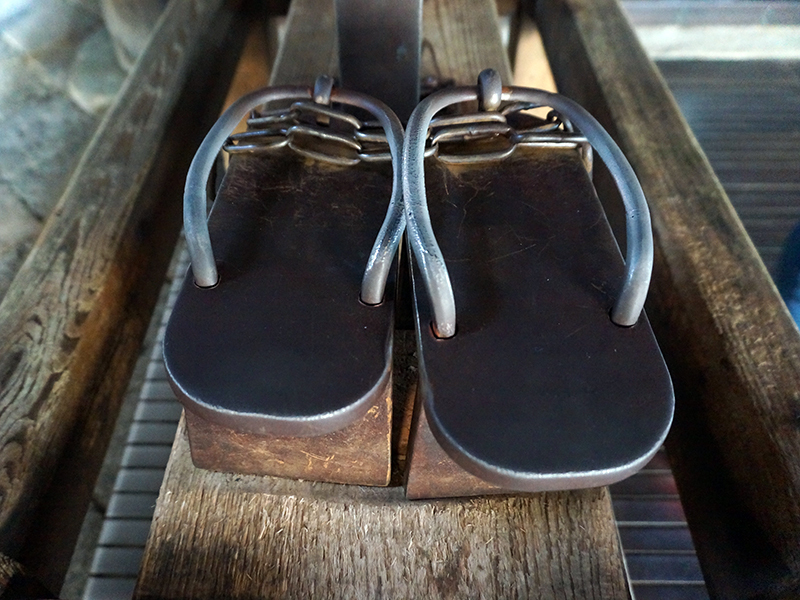 At the entrance, there is a pair of metal shoes local monks used to walk in a long time ago. Next to it stands a rusted ironed pole and people are always attempting to lift it in order to get a good luck. All in vain *laughing*! The temple grounds are picturesque and worth to spend a whole day leisurely strolling along the inclining paths. 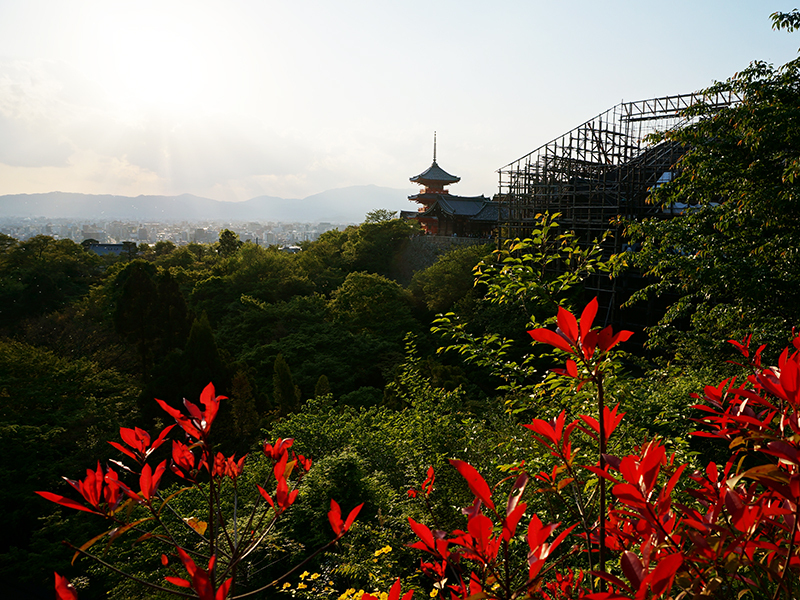 There are many viewing points where you can get a glimpse of historical Kyoto. 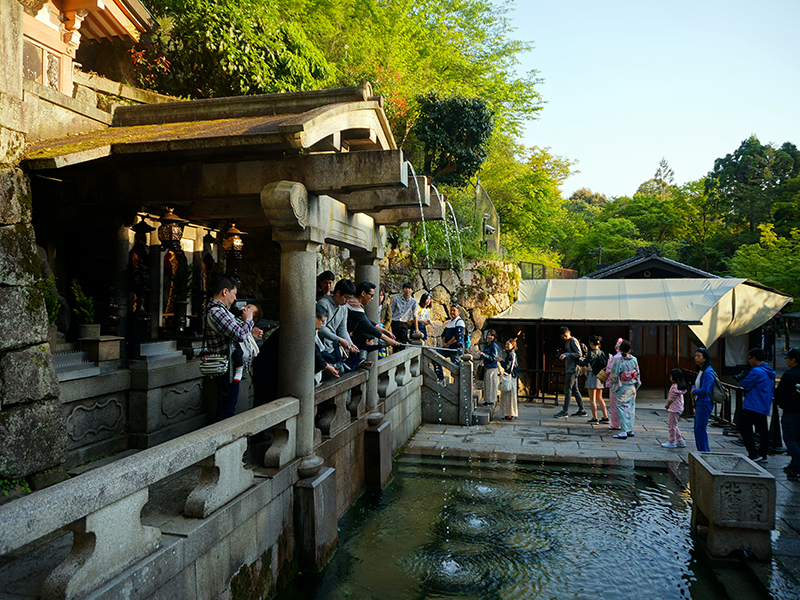 After venturing around the gardens, I went down the stairs to see the long line of tourists waiting to purify their bodies and mind with the pure waters of Otowa no Taki waterfall. Make sure you do not drink from all of three streams as it may bring you a bad luck! 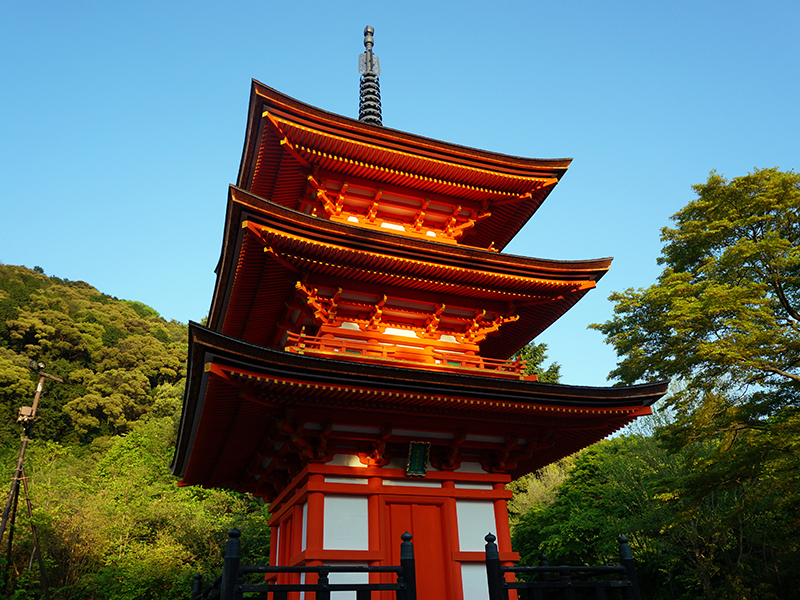 Although Kiyomizudera is beautiful anytime, I would suggest you to come just before the sunset. The views are simply gorgeous as the lights brighten up the narrow streets. 15 min. by bus 100, 206 from JR Kyoto Station or 20 min. by walk from Kiyomizu-Gojo Station along the Keihan Railway.